I love to hike in the woods. 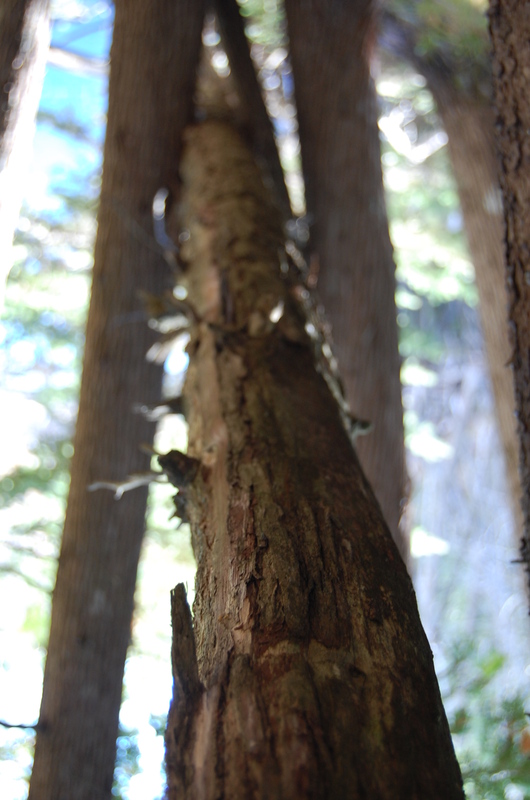 In any season, you can find me straggling several feet behind my husband, photographing tree trunks, decaying logs, scarred bark. What accounts for this fascination with trees, I’ve often wondered. I chalk it up to the artist in me — an appreciation for colour, shape, texture, and pattern. Over the past year, I’ve been researching my ancestry. A branch of the family tree hales from Ireland. Thanks to online documents and the research of a distant cousin, also an author/historian, I’ve learned some interesting details. During the potato famine, my Irish ancestors left Cootehill, County Cavan to settle in a Canadian village that would later be called Bytown and then renamed, Ottawa. 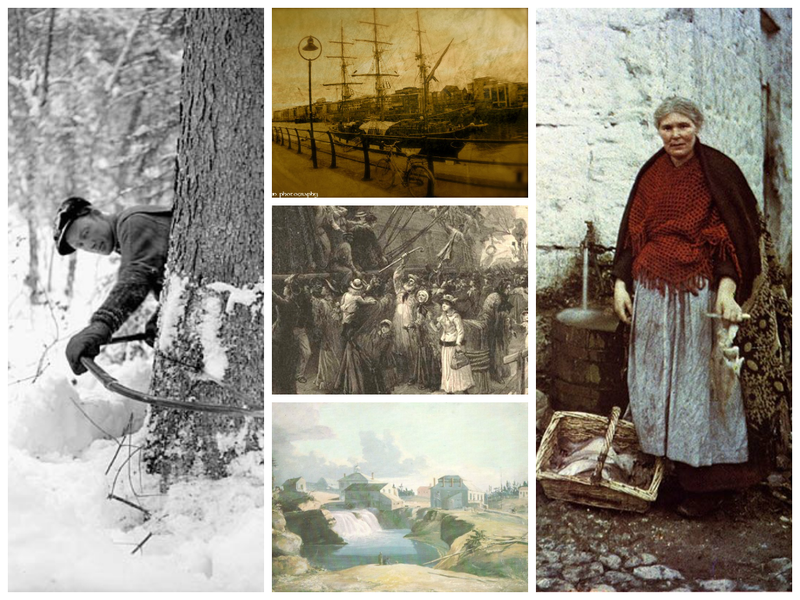 The Irish immigrants suffered through illness and poverty when they arrived. Many accounts claim that they wore little more than rags. Bytown was reportedly lawless, drunken and wild. Colonel John By hired many of the Irish immigrants to excavate the Rideau Canal that connects the Ottawa River and Lake Ontario. Although they lived in Bytown, my ancestors did not work for Colonel By. Instead, they found employment through timber baron, Philemon Wright. They worked on the other side of the Ottawa River in Wrightville, later to be known as Hull, Quebec. Trees were cut and stacked along the banks of the river, and in the spring, they were rolled into the water and floated to buyers downriver. 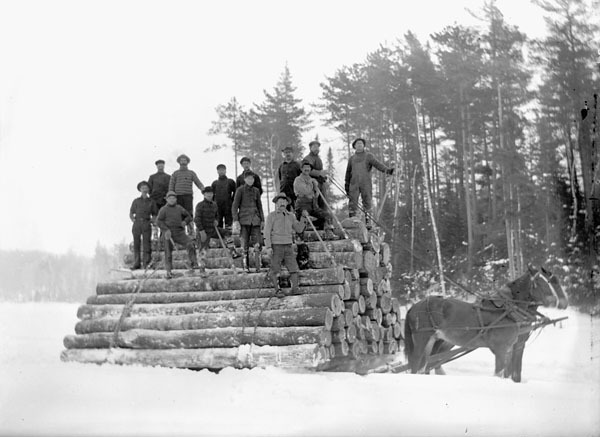 Logging and sawmills were booming businesses in Quebec in the mid 1800’s. So, I am descended from Irish lumberjacks. How exciting! I have begun the business of collecting information about the Irish, lumberjacks, Bytown and Hull. My findings will set the stage for a future novel. I look forward to sharing interesting more as my journey into the past continues.